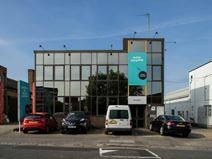 This is a completely refurbished modern building located just off the A40 in outer London, providing fully furnished offices, open plan areas, meeting rooms and conference facilities, workshop and storage space. 24-hour access and security as well as state of the art internet and network access is also provided. The property is directly accessible from central London, the M25, North Circular and M1 junctions. Luxurious fully furnished serviced offices in a variety of different sizes set in an elegant Georgian three storey building. On-site car parking and full reception support available. Situated close to Perivale and Alperton underground stations with easy access to the A4, A406, M1 and M25. Few minutes’ away from major superstores.